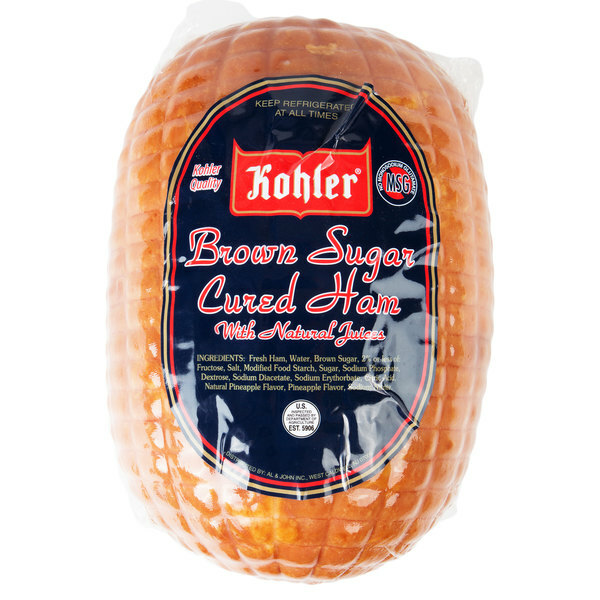 Use this premium Kohler cooked brown sugar cured ham to add a touch of sweetness to your dishes! Cured with water and natural juices, this ham is tender and flavorful. Plus, the curing process includes brown sugar to enhance the sweet and juicy undertones of the meat, ensuring that every bite is bursting with hearty flavor. 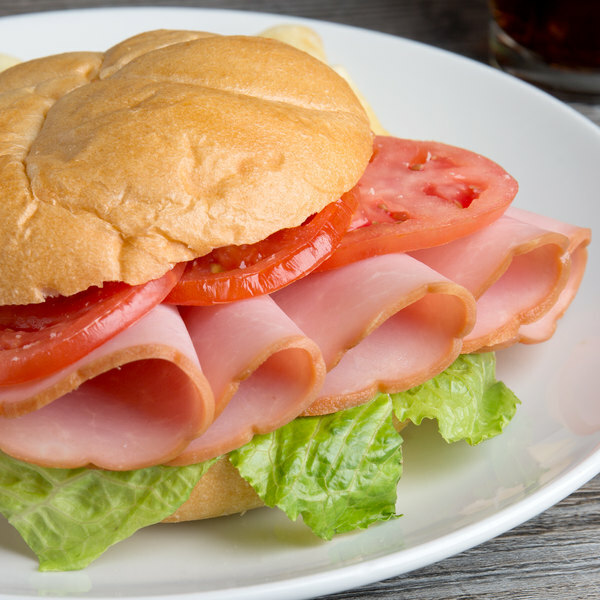 With only 70 calories per serving, this ham is an ideal option for the health-conscious consumer. It's also free of MSG so you can rest assured that your customers are receiving a natural, quality product. Slice it thinly to serve up sandwiches piled high with creamy pepper jack cheese and lettuce on fresh ciabatta bread, or cube it and stir into a delicious slow cooking ham and bean soup. 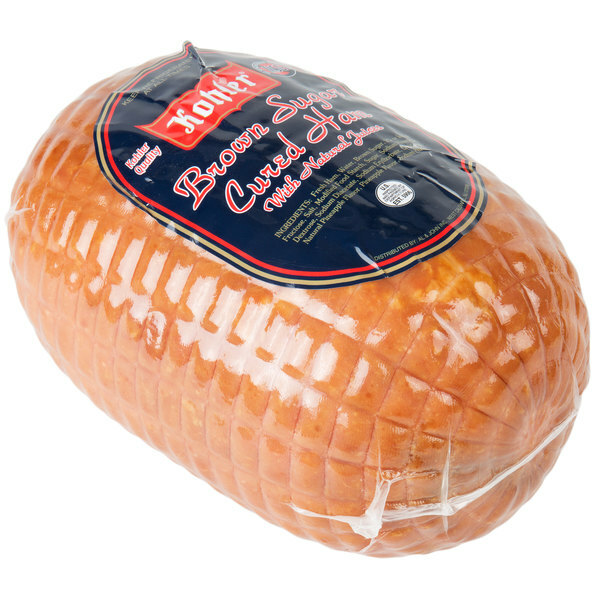 Guests will enjoy the rich and smooth texture of the ham in your signature dishes. Part of Freda Deli Meats, Kohler produces high-quality, premium meats with exceptional taste that come at a better cost in comparison to other premium brands of deli meat. Taking pride in every cut, they combine old world European techniques with original family recipes and cooking methods to deliver a delicious and healthy variety of meats. 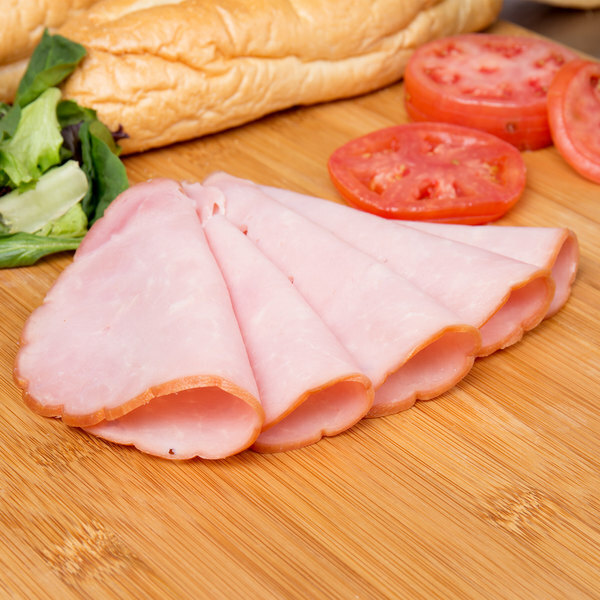 From tender beef for your classic reuben sandwiches to mouthwatering ham for hawaiian pizza, Kohler has you covered. This item does not contain any monosodium glutamate (MSG).